Namibia is a country like no other, the diamond of Africa. It is one of those dreamlike destinations that make you question whether something so beautiful and natural could actually exist. Time and space are less defined. Landscapes collide. Experiences pile up. Wild landscapes, stretched savannah plains with a colorful horizon, a jagged coastline and the red desert of Namib make this country unique. Watch a lion stalking its prey on a never-ending plain in Etosha. Fly down a giant dune on a sandboard. Spend a night in the desert under a sky full of stars. 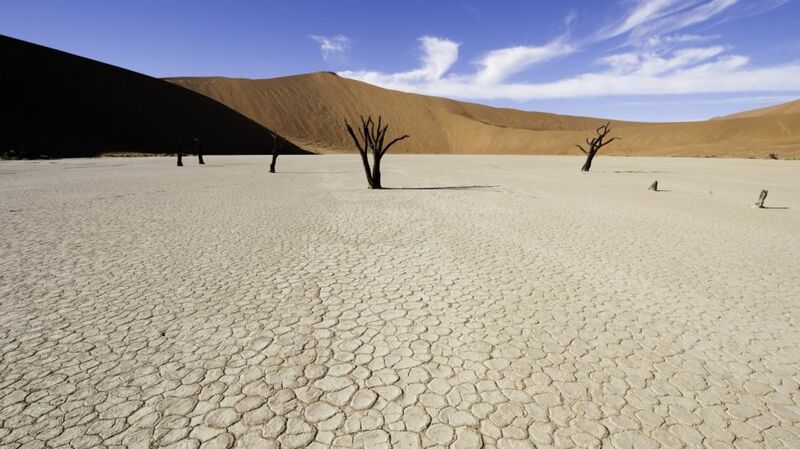 Namibia is a sparsely populated African country, rich in culture. The country is belatedly discoverd by the colonists. For nature and adventure seekers, this country is worth a visit. Etosha is one of the finest wildlife reserves in southern Africa, Fish River is the second largest canyon in the world and the immense sand dunes in the Namib Desert create surreal scenes. 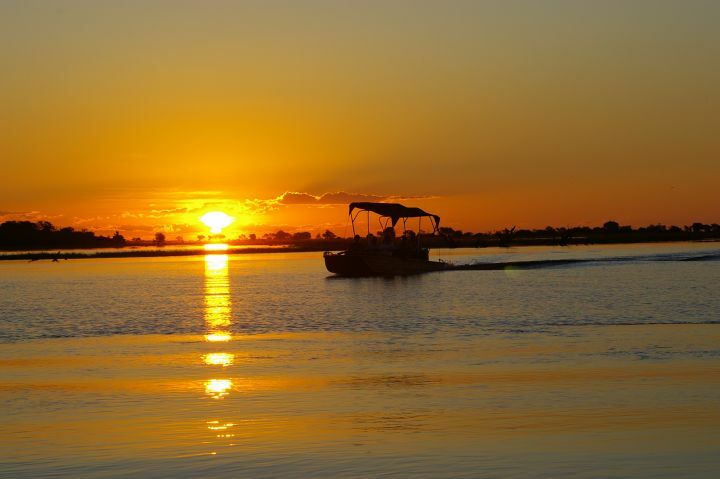 Experience the beauty of Namibia.. 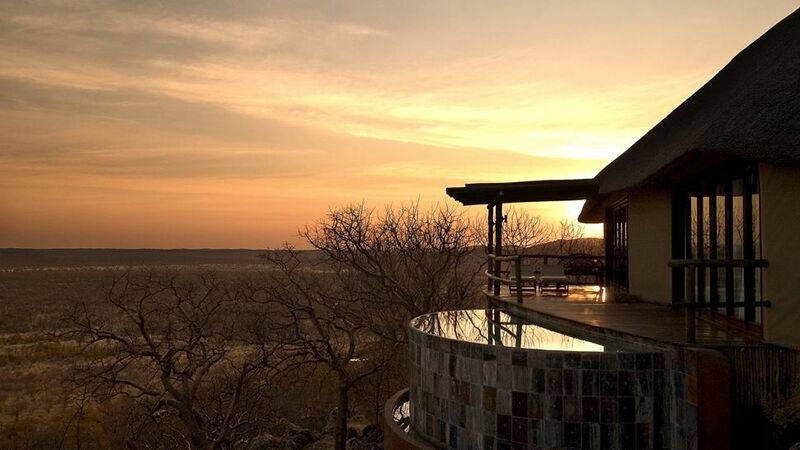 The best period to travel trough Namibia is October till mid-December. The temperature is between 25°C en 40°C in these months. In this time, it is hardly ever raining and there are no school holidays. Another good period to travel is from mid-March till mid-April. From January till April you have the most chance on rain. The more north you travel, the greater the chance of rain and the higher the humidity. Etosha National Park, Namib Desert, Cape Cross Seal Colony, Skeleton Coast, Fish River Canyon, Sossusvlei, Namib-Naukluf National Park, Damaraland, Bushmanland. Namibia is in the Southern of Africa, bordering South Africa, Botswana, Angola, Zambia and the Atlantic Ocean. The country is overwhelmingly a desert landscape, with the highest sand dunes in the world. Namibia consist of a Central Plateau wherein most of the population and economic activity are concentrated, borderd in the northwest by the Skeleton Coast, by the Namid Desert and associated coastal plains to the southwest and the vast Kalahari Desert in the east. 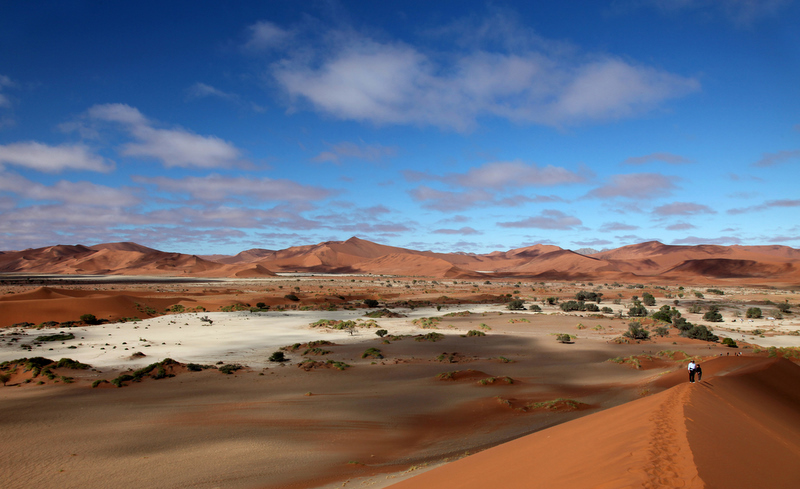 Namibia’s climatic variations correspond roughly to its geographical subdivisions. In the arid central Namib Desert, summer daytime temperatures may climb to over 40°C, but can fall to below freezing during the night. Rainfall is heaviest in the northeast, which enjoys a subtropical climate, and reaches over 600mm annually along the Okavango River. The northern and interior regions experience ‘little rains’ between October and December, while the main stormy period occurs from January to April. Namibia is a very safe country to travel in. Although theft and muggings do happen, they are extremely rare. The majority of crime is found in Namibia's major cities and once away from major urban areas, crime is very uncommon. Crimes that travelers may experience, if any, involve personal theft. Namibians are more willing to help you than to cause you harm. Traveling in public transportation doesn't increase your chances of being a victim of crime, and since it is so unlikely, no matter how you travel your chances are equally the same.